In the business world today, it is common practice for companies to entrust their day-to-day activities to their employees. The sad part is these same loyal and trusted employees may be the individuals that are taking advantage of the trust the companies have placed in them. Companies can suffer financial losses due to acts from their employees such as check forgery, computer fraud, and what can be referred to as some very creative accounting techniques. Considering all the ways technology has been improved, committing fraud against an employer has never been easier to accomplish than it is today. Unfortunately, even if your company employs every conceivable auditing procedure and internal controls, if your employee wants to commit fraud against your business, they will find a way to do it. Acquiring an Orange County, CA Fidelity/Crime Insurance Policy will provide your company protection from losses of securities, money, or inventory resulting from a crime being committed. Some examples of allegations of Fidelity/Crime Insurance claims are: embezzlement, employee dishonesty, forgery or alteration, computer fraud, extortion, and money wire transfer to name a few of the various criminal acts that are committed by employees and third parties each year. Companies need to be on guard at all times since employees and third parties have the ability of coming up with every conceivable way there is out there to exploit a weakness in your safeguards concerning your finances. Here are a few examples of what an employee might do against your company: non-existent suppliers, fictitious accounts payable, fake employees, to just blatantly stealing your company’s money, property, or securities. Please take note that fraud and embezzlement in the workplace is on the rise, and even if your company takes every precaution they can think of, chances are it will happen regardless. Every business should be concerned about employee dishonesty, particularly if your business is dealing with cash or securities. Acquiring an Orange County, CA Fidelity/Crime Insurance Policy to protect your company is an absolute must to protect your business. In most property insurance policies, losses related to certain crimes are not usually covered, so having a Fidelity/Crime Insurance Policy is your best defense in these matters. Unfortunately, many businesses today do not have adequate Fidelity/Crime Insurance coverage. Since fraud and embezzlement are on the rise in this country by employees, if your business is not adequately equipped with tight safeguards in place, chances are these activities may go undetected for years, and when they are discovered, the losses can be quite severe for your company. In most Orange County business insurance policies, there is only a small amount of coverage, if any, for a loss of money and securities, as well as any employee dishonesty exposures. When we sit down with our potential and current clients to discuss this type of coverage, we stress to them that if would be in their best interests to have a complete checks and balances program to combat employee dishonesty to protect the company from potential financial hardships. Remember, that even the most loyal and hardest working employee may turn out to be the biggest threat you have which may lead to you closing your business due to a severe case of stealing by this trusted employee. Third party crime coverage can be added to the crime policy to extend coverage to a client with whom you have a written contract to perform services which will provide coverage for loss of money, securities, or property from theft at the client’s premises by an employee of your company. It should also be noted that coverage for ERISA compliance can be added to a crime policy covering 10% of the assets of the plan(s) eliminating the need for a separate ERISA bond. An Orange County, CA Fidelity/Crime Insurance Policy should be part of your overall insurance program. 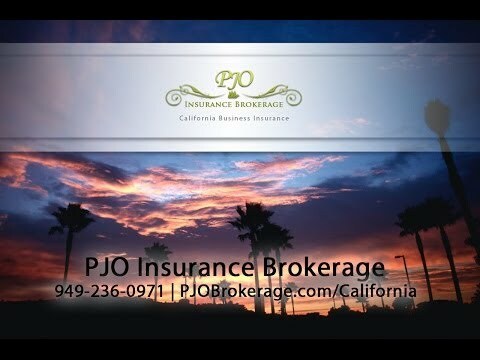 The experienced and professional brokers at PJO Insurance Brokerage in California can present your company with an insurance plan to protect your company from things such as Employee Dishonesty, Theft of Money & Securities, Forgery or Alteration, Computer Fraud, or Robbery and Burglary. Call today to set an appointment to learn how this coverage can help your company. Reviewing Your Current Orange County Insurance Policies?